Wisconsin's top Democrats say choosing Milwaukee to host the national convention shows the importance the Midwest state will play in the 2020 election. Democratic Sen. Tammy Baldwin said Monday that there is "no better place to showcase the Democratic Party's vision for the future than in Wisconsin." The Democratic National Committee picked Milwaukee over Miami and Houston. Miami Mayor Francis Suarez calls the decision a "missed opportunity for our nation" that Miami wasn't picked. Milwaukee Mayor Tom Barrett says "Milwaukee is a first-class city," and it's ready to show off "on one of the largest stages in the world." The convention is expected to attract more than 50,000 visitors in July 2020. Former Republican Wisconsin Gov. Scott Walker says "who would have known" that his push to build a new arena in Milwaukee would be one of the key reasons Democrats chose to hold its national convention there. Walker was an enthusiastic backer of Democrats holding the convention in Wisconsin when he was governor. His defeat in November by Tony Evers has been cited by as one of the signs that Democrats are on the rise in Wisconsin, a state President Donald Trump barely won. Walker tells The Associated Press on Monday that it is a "great thing for the city and the state" to host the Democratic National Convention, calling it a "perfect fit." Walker now lives in Milwaukee. But Walker says hosting the convention may also motivate Wisconsin Republicans who otherwise might have been complacent about re-electing Trump. 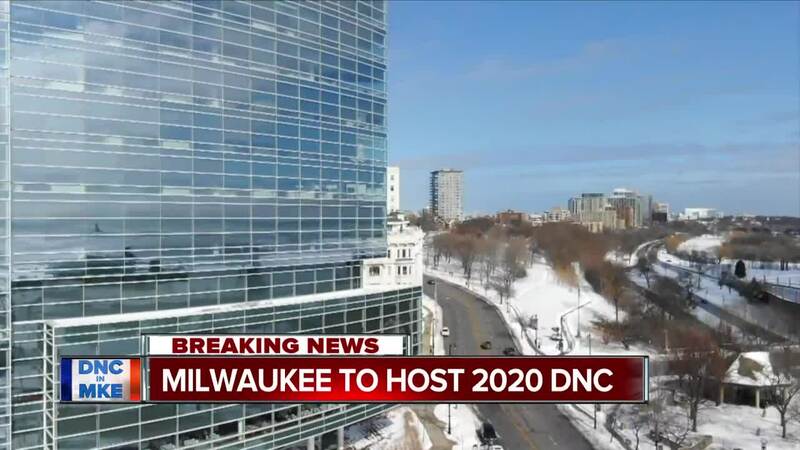 Milwaukee also will be one the smallest cities to host a presidential convention, topping two other finalist cities that have hosted national political conventions and Super Bowls.